BERLIN (AP) — With the wartime generation rapidly disappearing, a television drama about five young Germans in World War II has revived debate in Germany about the role ordinary men and women played in the Nazis' murderous campaign to conquer Europe. Millions tuned in last week to watch the three-part series "Our Mothers, Our Fathers," which follows five young Germans — two brothers, a nurse, an aspiring female singer and a Jewish tailor — as they struggle through one of the bloodiest conflicts in history. 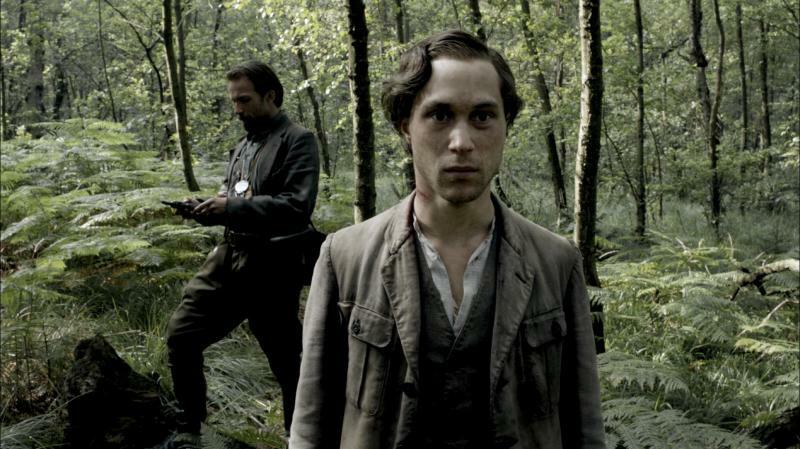 Three of the characters, including the Jew, survive — disillusioned and physically broken — to confront each other and their own demons in the final episode in the ruins of Berlin. The series begins in 1941, as the Nazis launch their doomed assault on the Soviet Union, with each character slowly realizing that the world they believed in is falling apart. The brothers learn that the German army isn't as noble as they thought; the nurse regrets betraying a Jewish colleague; the singer's liaison with an SS member turns sour; and the Jew has to fight his fellow Germans to survive. In Germany, meanwhile, some accuse the film of sidelining the Holocaust and depicting Germans as victims rather than a nation responsible for starting a war and committing genocide. On Wednesday, Poland's ambassador to Berlin, Jerzy Marganski, slammed the series in a letter sent to German public television station ZDF, which broadcast the 14 million-euro production. "The image of Poland and the Polish resistance against the German occupiers as conveyed by this series is perceived by most Poles as extremely unjust and offensive," Marganski wrote. "I, too, am shocked." Among other criticisms, Marganski said viewers learn nothing of the Warsaw uprising, in which up to 200,000 Polish civilians died, nor of the many Poles who helped Jews. Producer Nico Hofmann said the depictions of "the Polish situation .... are based on historically vetted material" and there was no intention to defame the Poles. The series also includes an improbable ending in which the Jewish character, Viktor, survives the war but his German lover Greta is executed after trying to save him. "Were German soldiers really so brutal?" the mass-circulation daily Bild newspaper asked after one episode showed German soldiers killing civilians in revenge for a partisan attack. "I can imagine that in many families where there are survivors there will be conversations," said Jens Wehner, a historian at the German Military Museum in Dresden. Census records obtained by The Associated Press put the figure at about 1.85 million, of which fewer than 600,000 are men. About 5.3 million German soldiers were killed in the war. Another 2.5 million German civilians died in the conflict, excluding almost 150,000 German Jews murdered in the Holocaust. Monika Scislowska in Warsaw, Poland, contributed to this report.